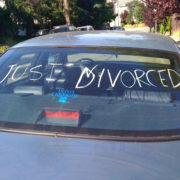 The fact is that divorce is difficult. Emotions are raw, family life is uprooted, and life becomes strained. And children are caught in the middle. Attorneys in Tampa Bay litigated cases are often obligated to not only focus on showing their clients in the most positive light but also shining the spotlight on the opposing parties’ parental flaws. This further frays relationships with consequences to the children. But there is an alternative. Collaborative divorce is a process where the clients agree not to air their dirty laundry in the court system but instead to negotiate respectfully in private offices of attorneys and other professionals. A neutral facilitator, who usually is a licensed mental health professional, is utilized to ensure that the clients focus on the future and on what is most important: the children. If you’ve gone through a divorce, you know how challenging it can be to keep your emotions in check. Add children to the mix and the damage can be devastating. But experts say more divorcing couples are seeing the benefits of putting down the boxing gloves and placing their children’s needs first.